Originally published by Classical Singer magazine in December 2010. All Rights Reserved. Recently, I heard from a young singer who, after singing her final jury, didn’t sing another note for eight months and is now struggling to gain stamina to sing longer than a few minutes at a time. She is frustrated and a little nervous, wondering if she’s going to have to start over from scratch. As I write this, I am sporting a lovely purple buddy splint, ACE bandage, and post-op shoe. Last month, while packing, I tripped over a suitcase wheel and broke my little toe. I have to wear the shoe for six weeks and can’t run, walk long distances, or do much in the way of cardio. I’m doing what I can, but it will be some time before I can resume my usual workout routine, let alone run, and I dread how hard it’s all going to be when I am finally able to go full steam once more. 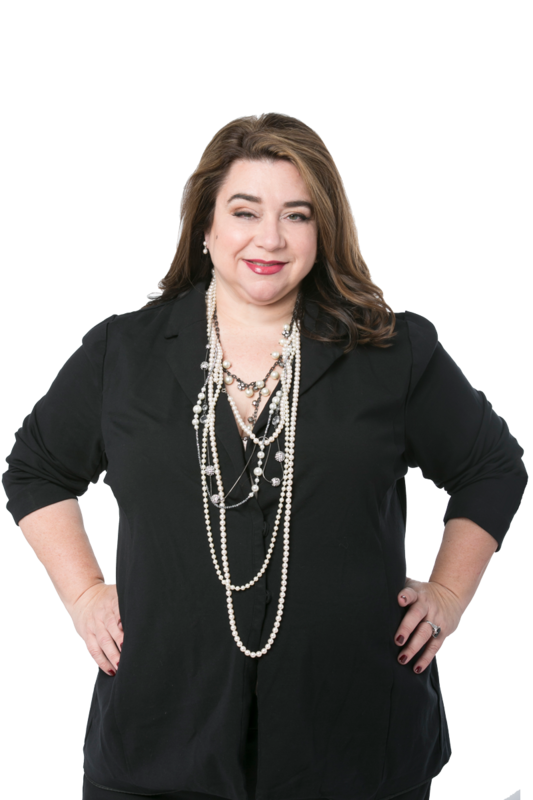 As a career consultant to singers, many clients come to me with similar stories: for one reason or another, they stopped pursuing a career for long periods of time, and now they want to start up again. They have the same worries as the singer who is trying to regain her vocal stamina—or, like me, they are anticipating the challenges of rebuilding diminished physical fitness after an injury. They have suffered a loss of career fitness, and have a potentially long and challenging road of recovery ahead of them. The challenges may be technical, depending on whether or not they sang during the hiatus. They may involve Fach change—what you sang and were marketable as when you were 22 may not be the same at 32. But you will also face the challenge of battling inertia—simply heaving that rusty old career up off the ground, let alone soaring smoothly along. How do you go about rebuilding career fitness? An ounce of prevention is worth a pound of cure, as they say. Sometimes life circumstances demand that you take time away from singing. Sometimes it’s simply been a while since you were able to get any work. Sometimes you walk away from the pursuit of the career, thinking you’re done with it forever, only to find that you want to come back. Whatever your reason, if you do take a hiatus from your singing career, you will be in a much better position to make a comeback if you keep a finger or two in the pie. First of all, keep singing. Keep taking lessons or coachings, even if they are irregular. Sing with a church choir or community group, and make sure you do some solos. Schedule a recital of pieces you’ve always wanted to sing. Study roles. Take a little gig here and there if you’re able. Whatever you do, don’t rest on your laurels. If you think there is the remotest chance that you will return to a singing career, keep your voice in good shape and keep finding performance opportunities, no matter how minor. If you cannot perform, continue to study and learn roles. You will be in much better shape vocally when you do take it up again, and your résumé will not have to reflect a big gap since your last performance. Unless you had a fairly successful and busy career before you stopped singing, it’s unlikely that you’ll be able to simply pick up where you left off without doing any prep work. If you haven’t been singing for a couple of years and decide in August that you want to be heard at the fall opera auditions, you’re certainly going to have your work cut out for you. You might be better served by spending the fall in training, so to speak, and then trying for whatever spring auditions you can get. How much time do you need? That depends on a variety of factors, including how long a hiatus you took, what state you left your career in, whether you’ve kept up your vocal training and kept a finger on the pulse of the business, and whether you’ve kept in touch with your contacts. Before you make a decision, give yourself a thorough assessment. The first order of business when starting a new exercise program is a consultation with your doctor or an assessment by a personal trainer. 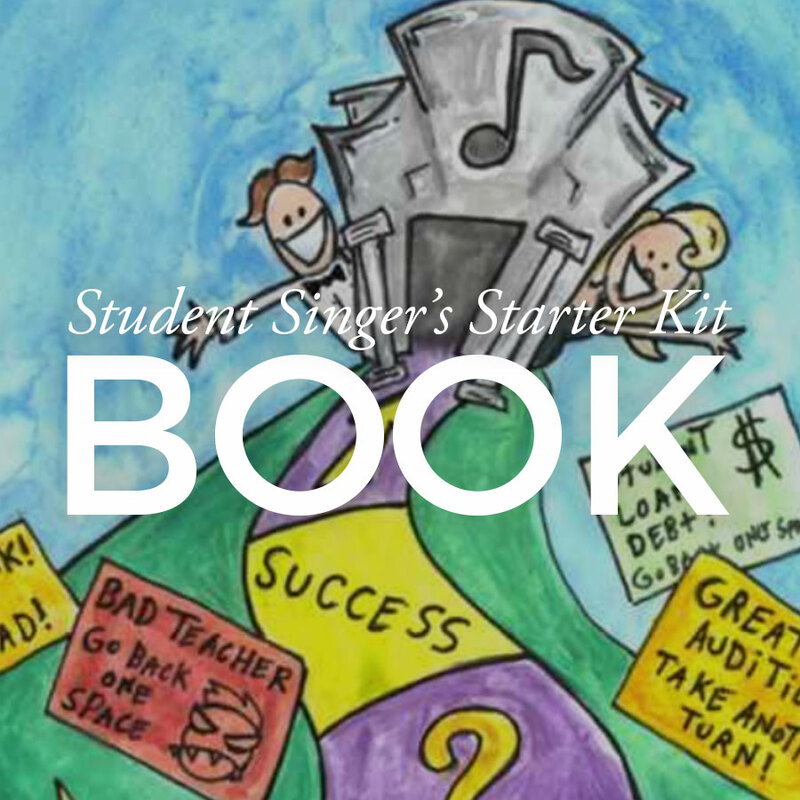 When you are ready to start singing again, the first thing you need to do is take stock, preferably with the advice of a professional whom you trust. How is your technique faring? If it’s rusty, it’s time to get serious about the lessons and coachings again. Have a consultation lesson with your teacher and figure out about how long it’s going to take to get you back in fighting shape; don’t schedule any auditions until you’re ready to be fierce. The one thing that will be most in your favor when you show up with a big gap on your résumé is if you can knock the socks off the audition panel. Make sure your repertoire is fresh, current, and flawless. If the last time you sang Cherubino was 10 years and 25 pounds ago, you might want to take a good hard look at whether that’s the type of thing you still ought to be singing. Don’t just whip out your Big Five from college or your YAP auditions. It’s time to really be thinking about what you can sell now. You’ll also need to refresh your résumé, bio, and possibly your headshot, especially if it doesn’t look like you anymore or simply is outdated in style. The last thing you want to do is date yourself with a headshot or seem like you’re trying to appear frozen in time. You want to present yourself as someone who knows what the market is like now and is prepared to meet the challenges. While you’re freshening up, don’t forget to take a look in the mirror. Do you need a more current haircut? Is it time to rethink that goatee or mustache? Maybe a little judicious color? And what about wardrobe? If it’s been a while since you auditioned, you may need a new suit or dress in a more current style. Remember, even if your career has been in mothballs, you want to show up looking up-to-date and at the top of your game. When it’s been a while since a new credit graced your résumé, you need some way to bridge the gap. One thing producers and managers are looking for is progress—bigger and better credits with bigger and better companies over time. It will be helpful if your résumé before the break reflects this, but you’ll do yourself a favor if you can show some sort of activity since the break. Let’s be clear—nothing replaces professional performance credits in the genre in which you’re seeking work. But if you don’t have them to show, at least try to show some kind of performances. In fact, part of your preparation for re-entry into a career should involve getting some performance credits, even if they aren’t the kind you’ll eventually be seeking. 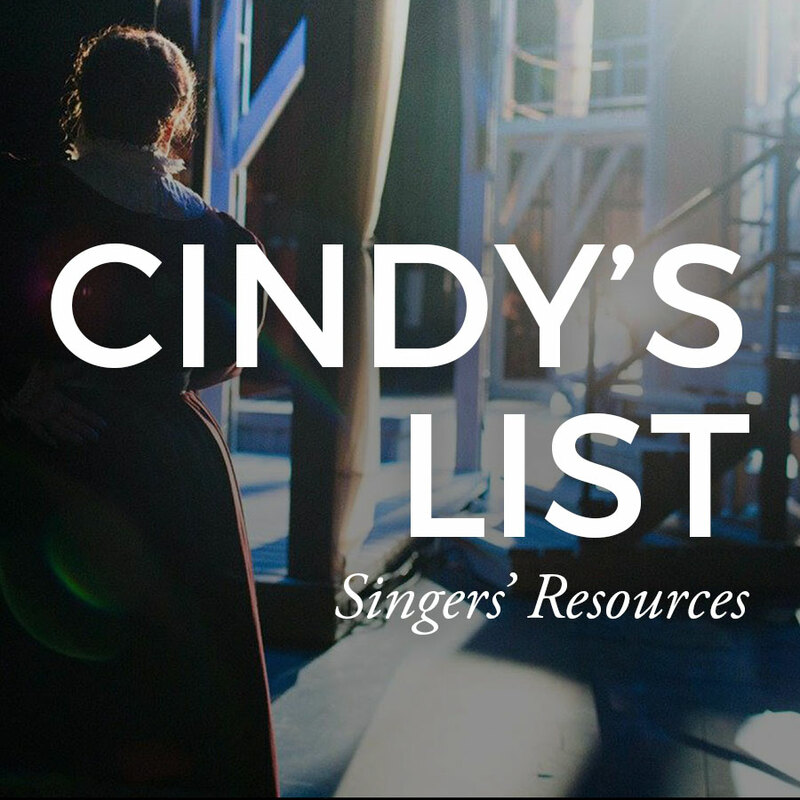 If you have no recent performance credits, the next best thing is to list Roles in Repertoire—roles which you have studied during your hiatus and know in their entirety. At the very least, you can show that you have continued to work on your voice, even if you weren’t performing. If you don’t have any of these, you can list Roles in Preparation, but be aware that this is very much a “filler” category that simply shows what you’re working on in roles right now and isn’t worth much in terms of credits. I don’t advocate removing dates or trying to hide your age. A lack of dates on a résumé is a red flag that says you’re trying to hide either a gap or your age. Just own up to it and deal with it. Here’s a secret: if you are singing wonderfully and singing repertoire which is appropriate to you right now, that’s what will matter most. Also, be prepared to answer questions about your hiatus. You needn’t go into details, but have a short, to-the-point answer prepared. “I took some time off to deal with family matters, but I have continued to work on my voice and repertoire and I think you’ll be pleased with what you hear.” “I stepped away from pursuing a career for a while, but I have always kept up my voice and am more than ready to work again. Let me show you what I can do now.” Keep it professional, confident, and positive, no matter what the reality of the circumstances may have been. 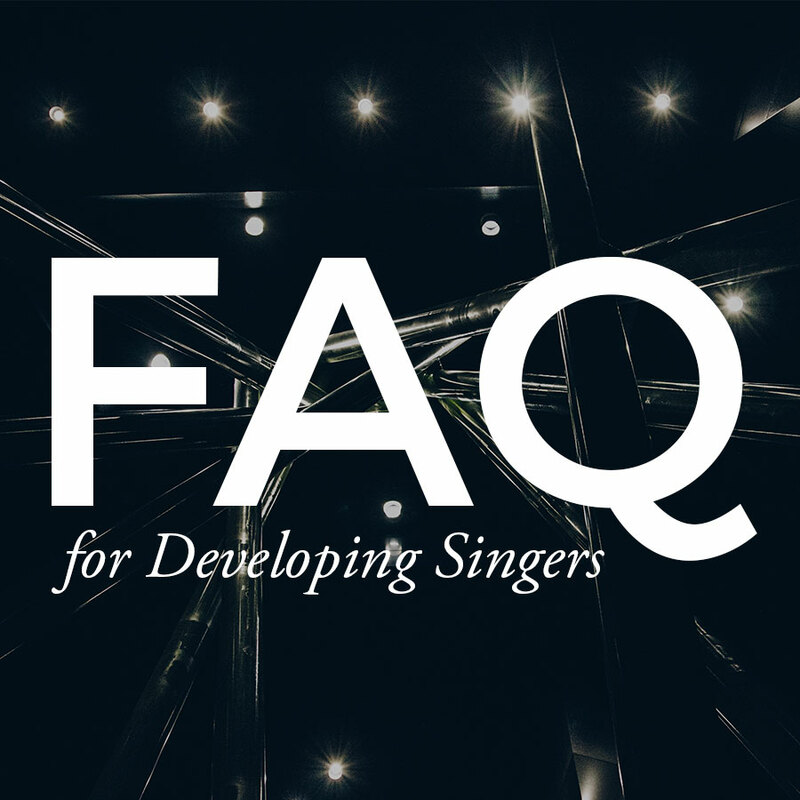 Absolutely critical to the rehabilitation of your singing career will be the advocacy of a few champions—industry insiders such as conductors, coaches, directors, general directors, YAP administrators, and even other singers who remember you and believe in you. Hopefully, you kept in touch with them during your hiatus, but if you didn’t, you need to start laying the groundwork now. Send them a cheerful, brief email asking how they are or congratulating them on a recent success, and let them know (briefly!) how you’re doing and that you’re making a comeback. If they respond and you feel that they might be willing to help you, ask if you can sing for them and get their professional feedback (and of course you should be prepared to pay or at least take a nice gift). Nothing beats word-of-mouth and personal recommendations. You want these people to be talking about you to others who are producing music. You want them to hire you for their own projects, if they are in a position to do so. Don’t be afraid to ask for help, but don’t come out of the blue to do it. And keep your expectations reasonable. As nice as it would be to hop the express elevator straight to the top of your former level, you might have to be content to climb the stairs for now, one step at a time. Let everyone you know in the business—other singers, conductors, directors, producers, teachers, church choir directors, coaches, even fans—know that you are singing again. Make a Facebook fan page and open a Twitter account. Create little postcards—preferably with a production shot or a new headshot—and send them to everyone you used to sing for. If you’ve got upcoming gigs or have changed your repertoire, this is the perfect opportunity to advertise it. You need to create a little buzz, and then use the momentum from that to get yourself to the next step. If you don’t have an agent, you’ll need to call on those champions in order to help get the audition ball rolling again. Start with every producer you ever sang for with whom you had a good relationship. They should be willing to hear you again as a professional courtesy, if nothing else, and some of them may have moved on to bigger and better venues themselves. Write yourself a great cover letter and drop the best names you can (make sure you ask first—and better yet, get them to make a phone call for you). Send out your newly scrubbed materials and hope for the best. But in the meantime, remember the adage: if you aren’t getting work on your own, make some. You may need to prove yourself before people are willing to hear you again, so schedule a recital or stage a reading of an opera and invite your VIPs. Most importantly, persevere. A tiny step in the right direction can lead you to the top of the mountain. Once you do start getting hired again, no matter how small the gig, you must always show your best. This is true for anyone, but when you’re overcoming odds, it’s even more important. Make sure you’re prepared to sing wonderfully, be a great colleague, and show yourself to be the kind of singer they’d like to hire back. Work on making and keeping connections. Work on establishing a great relationship with the company and asking to come back. Make the most of every opportunity and remember that buzz is short-lived: you have to act on it immediately to keep the momentum going. Always be looking for that next connection, that next gig. Just as it’s not easy to regain lost physical or vocal fitness, it’s not easy to restart a singing career—but it’s not impossible, either. Do the work and you will reap the rewards.